Repainted cockpits for the Bf 109planes and the Me262 jets. 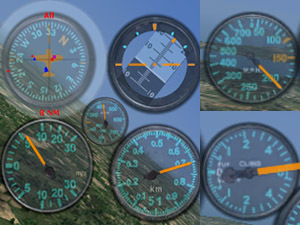 Replace the original CFS3 HUD sight with one of the three 3D cockpit gunsights. By: Klaas de Jong.